The end of the ABT Bass electric session has come to its end with the grand final at Lake Wivenhoe, I spent a lot of full days prefishing this lake.I used most of my time looking for the school bass that start schooling close to this time of year inn hope to find the giant bass. With only being able to find single fish it was playing out to be an edge bite. My mate that I fish with found bays and points which held good numbers of bass so that was our plan. Day 1 seen us head straight to the first bay and I started to cast a jerkbait over the weed beds, we made our way through the bay around the point and into the second bay where I had changed to a Teribull blade in 3/8 and slow rolling it over the broken weed edges. I scored my first bass with the teri bull blade. The second came on a spoon, vertical jigging around broken weed and seeing bass on the lowrance sounder and fishing down to them. I managed 6 bass on these 2 techniques. My weight for the 2 biggest was 2.19kg that put me in 9th place after session 1. Day 2 started with rain and very cloudy, as we where in line to launch the boat I decided to tie on a jerkbait as I took it off the day before to put the teribull on. So I tied it onto and lighter setup as I going to cast the teribull again today. We headed straight to the first bay again and work down the leading edge in to bay by casting a lipless crankbait with no bites.We got to the middle of the bay when I started casting the jerkbait over the weed beds which had about 4ft of clear water above the weed and we where sitting on the edge of the broken weed. I used a single twitch/jerk with a very small pause retrieve. After a few casts a got the first hook up and my reels drag started screaming and bass buried me deep into the weed. I fought the bass for a small while and it would not come out so I changed different angles to try and pull the bass out but it was not working as I was only using a light rod. We decided to try and use heavy lure retriever to side down the line a tap the bass on the head to spook it out of the weed. We finally managed to upset the bass enough for it to brake free of the weed so could wind in a net the giant bass. Yes! I thank my good friend Adrian for his help and patience to assist with the lure retriever. We continued around the bay and towards the point and I changed to a lipless crank bait and started long cast to the weed edge and slow roll over the weed and broken weed to the boat which was in clear water. Several casts where made across this point when “CRUNCH” the lipless crank bait got hit and the it was peeling lots of line off and this was on the heavy rod.This bass fought clean and made a run away from its first run towards the weed. This was a giant bass as well and I was very excited to of caught much great quility bass in the tuff days of the tournament. The bite shut down and I only got 1 more by-catch. When I headed to the scales for the weight in I was very nervous as I hear that the session 1 leaders didn’t catch big bags today and they where weighing in last so I headed up to the stage to see what my 2 giants would weigh. They tipped the scales at 5.36kg I was so happy with a bag over 5kg. now the waiting game to watch the top 5 from session to weigh in one by one. The last anglers took to the stage and then I realised I won the grand final with a come back big bag. The prize for the win is a trip to Japan and go to the Osaka fishing show 2019. 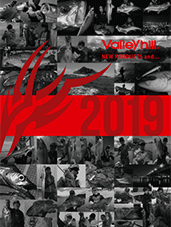 So come say hello if you are at the show looking at the Valleyhill stand.